A Brazilian judge ruled yesterday that Vale can reopen Tubarão port. The port had been closed last week on environmental concerns, notably the dust that was spreading to neighbouring areas. Tubarão accounts for one third of Vale’s more than 300m tons of annual iron ore and iron ore pellet exports. One of the most important ports in the world for iron ore trades has been closed down. Yesterday, a Brazilian federal court suspended activities at Vale’s Port of Tubarão citing pollution concerns. Tubarão accounts for one third of the Brazilian miner’s iron ore exports. 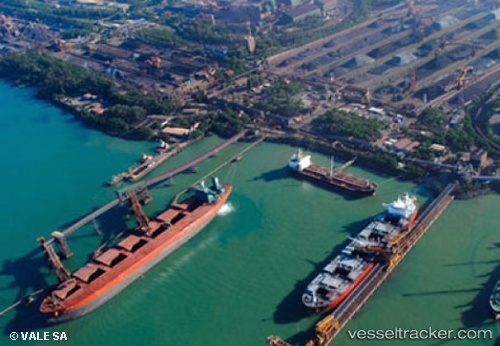 The port also handles coal imports and steel exports for the Brazilian unit of ArcelorMittal. Authorities maintain iron ore and coal dust from the port are polluting the surrounding water and contributing to pollution in other areas, including nearby beaches. The port will remain closed until Vale and ArcelorMittal can fix the situation and the pair will be fined for each day it is closed. Vale said it will fight the decision and try to get the port reopened as soon as possible.